Should You Do Window Replacement Before Selling a Home? There are so many home improvement projects that you should consider tackling before putting your home up on the market. If you’re planning on selling your home soon, you should think about renovating your kitchen, updating your bathrooms, replacing your flooring, and more. You should also consider doing window replacement in Anaheim, CA. It could get you a great return on your investment when you go to sell your home. 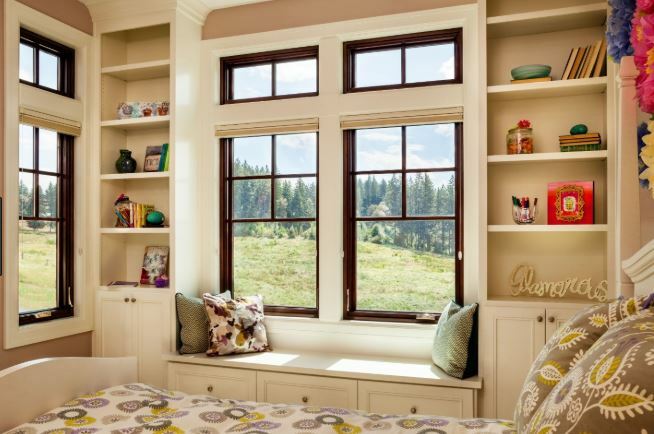 Here are some instances in which you should definitely replace your home’s windows. Your old windows are hurting your home’s curb appeal. If your home doesn’t look amazing from the outside, there’s a good chance that potential buyers are going to drive right past it once you start trying to sell your home. You’ll need to work hard to improve your home’s curb appeal. You can do this by painting your house and changing your landscape design. But you can also do it by replacing your old windows with new Anaheim, CA windows immediately. New windows will make your home look more modern, even if it’s the only step you take to improve the curb appeal of it. They’re dragging down your home’s energy efficiency. Energy efficiency is a big selling point these days for many homeowners looking to sell their homes. Buyers want to know that a home is energy efficient before putting offers on it. If your energy bills are entirely too high, it could be because your old windows aren’t providing enough insulation for your home. 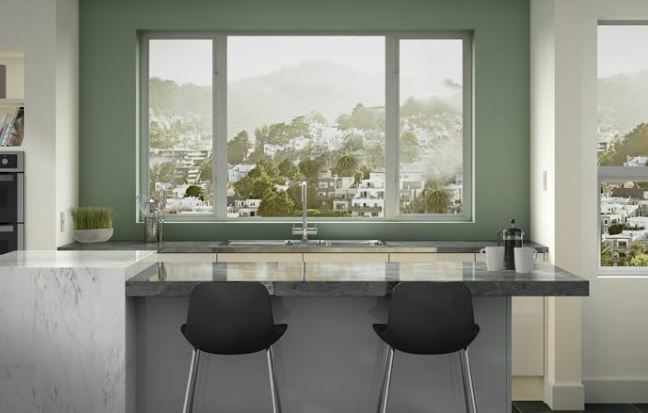 Newer windows with double and triple pane glass will take care of this problem and allow you to sell buyers on the energy efficiency of your house. They’re affecting the interior design of your home. Old windows can do more than just affect the appearance of the outside of your home. They can also take a big toll on the appearance of the inside of your home if you’re not careful. You might spend thousands of dollars remodeling the inside of your house to make it more visually appealing to buyers. But if you still have the same old windows installed, they’re not going to make the space look as modern as it could be. 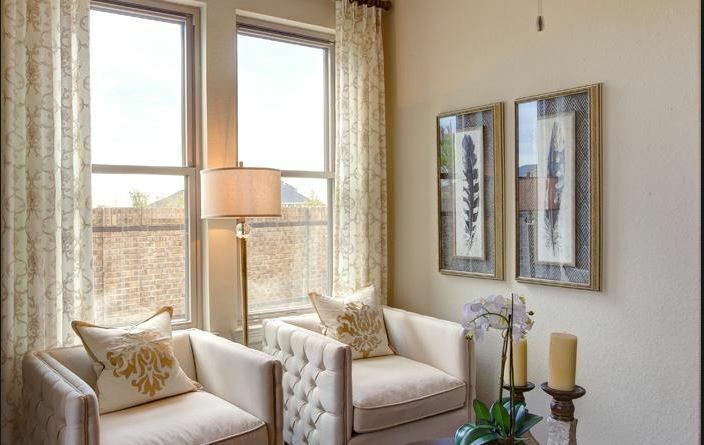 Replacing your old windows will give you a chance to use new windows to enhance your interior design. They’re constantly in a state of disrepair. There are many buyers that like to test out different things in a home when walking through it. They’ll open and close closets, open and close drawers, and yes, open and close windows. If you have windows that are broken, they’re going to make a bad impression on people when they’re walking through your home. You might scare them off if they find a bunch of windows that are hard to open and close. Are you going to be listing your home for sale soon? Before you do, you might want to call on a Anaheim, CA window company to put new windows into place. It’ll make your home look and feel better to potential buyers. Reach out to Pacific Shores Windows & Doors at (714) 841-2228 today or come see us at 10573 Ellis Ave., Fountain Valley, CA 92708 for more information on the windows we have available. Most window companies have a bunch of different things on their websites. They have a list of all the products they sell, including Orange, CA replacement windows. They also have a list of the services they provide for customers. Many of them even have an “About Us” page that explains more about the history of their business. But if you’re looking for a window company to install windows for you, you should pay special attention to the photo galleries that window companies have on their websites. Here is how you can use them to your advantage. When you first start shopping around for new windows in Orange, CA, you might not know exactly what you want to buy for your home. By browsing through a photo gallery on a window company’s website, you can get some ideas about what might look right in your home. You can also rule out some window options that might not look right when installing in your house. 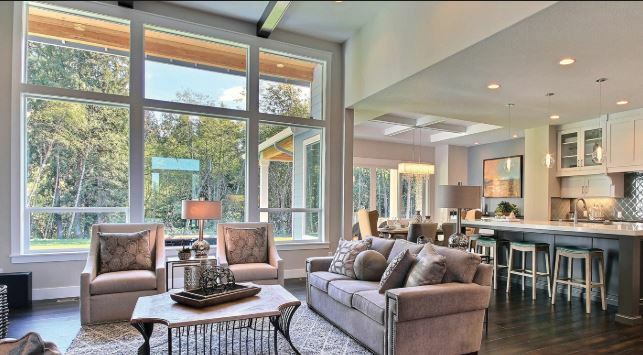 A photo gallery is a great starting point when brainstorming ideas for the types of windows you want to put in your home. Before hiring a window company to install new windows in your home, you want to know that they know exactly what they’re doing. The last thing you want to do is hire a company that doesn’t have the experience and expertise you need to do window installation properly. A window gallery can give you a better idea of what a company is capable of doing in homes. You’ll rest easier at night knowing that you’ve hired a window company that is highly skilled when it comes to installing all types of windows. Once you take a look at the photo gallery that a window company has up on their website, you’ll likely have all kinds of questions for them. You’ll want to know how they were able to install certain windows, if specific windows will work well in your home, and so much more. By checking out the work a company has done in the past, you’ll be able to generate a list of questions for the company that you can ask during an in-home consultation. Window companies that post photos of their work on their website aren’t necessarily doing it just to show off the windows they’ve installed. They’re also doing it to let potential customers know that they really care about doing high-quality work for their clients. The fact that they take the time to post photos of their work illustrates that they’re committed to making sure their customers are satisfied once window installation is complete. Pacific Shores Windows & Doors is constantly updating the photo gallery that we’ve assembled to show off the window installations we’ve done over the years. We would be more than happy to tell you about any of the individual installations or to answer any questions about the new windows in Orange, CA that we sell. Give us a call at (714) 841-2228 today or stop by 10573 Ellis Ave., Fountain Valley, CA 92708 for more information. Are you thinking about hiring a window company to install replacement windows in Orange County, CA? Before you do, you should see if they can provide you with a free in-home consultation. You’ll get access to a long list of benefits when you sit down with a window expert and pick their brain for a few minutes. Here is how a free in-home consultation will help you pick out new windows for your home. Prior to doing Orange County, CA window replacement, you need to decide what kind of windows you’re going to have installed in your home. This can be a lot more difficult than you might think since there are dozens and dozens of windows to pick from. During a free in-home consultation, a window expert will walk you through your options and tell you more about each one. It’ll allow you to make an educated decision when you buy new windows for your home. When you invite a window expert into your home for a free consultation, they’ll do more than just show you the windows they have available. They’ll also walk around your home and measure your windows so that they can give you a better idea of which windows might work best for you. Measuring the windows will also give a window company an opportunity to crunch the numbers and come up with an estimate for you before they leave (more on that in a minute!). Do you want to know what the differences are between, say, vinyl windows and aluminum windows? Or do you want to know how much it’ll cost to install wood windows as opposed to fiberglass windows? The window expert who visits your home will be able to sit and patiently answer each and every question you have about new windows. Your consultation will be the time when you’ll be able to fire off questions for as long as you want so that you can choose the windows you want to buy. At the end of your consultation, the window expert you meet with will be able to provide you with an estimate that covers both the windows you want and the labor involved with installing them. With an estimate in hand, you’ll be able to figure out if the windows you want to buy are within your budget. You’ll end up in a much better position than you were in before sitting down for your window consultation. Pacific Shores Windows & Doors is an Orange County, CA window company that believes in offering free in-home consultations to all of our customers. If you’ve been thinking about having new windows installed in your home, call us at (714) 841-2228 today to schedule a consultation. You can also stop by 10573 Ellis Ave., Fountain Valley, CA 92708 to speak with a window specialist. When homeowners first have Irvine, CA replacement windows installed in their homes, they don’t want to cover them up. They want to show their new windows off to the world and allow all their neighbors to get a glimpse of the major home improvement they just made. But after a few days, the majority of homeowners choose to hang some type of window treatments over their new windows. This is a great idea for a variety of different reasons. You should strongly consider following the lead of these homeowners and hanging up window treatments yourself. Here are some of the ways in which window treatments will benefit both your new windows and the rest of your home. They’ll protect your new windows. There’s a good chance that you paid a pretty penny for your new windows in Irvine, CA. So the last thing you want to have happen is for them to get damaged in any way. Window treatments can serve as the first line of defense for the windows inside your home. Whether you choose to have curtains, shades, or shutters put up on your windows, your window treatments will keep them safe at all times. They’ll enhance the look and feel of your home. You’re going to love the look of your new windows when they go into place. But you’re not going to love how bare they start to look after a while. Without window treatments, your home is going to feel like it’s missing something. 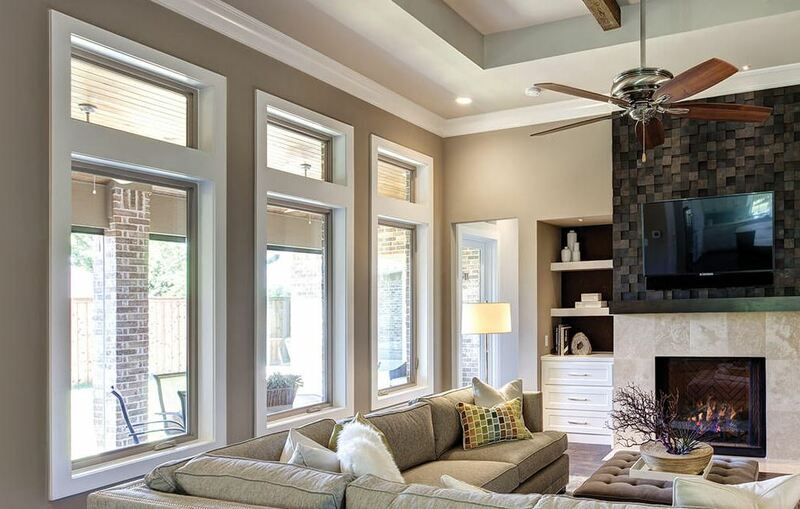 By choosing the right window treatments, you can enhance your interior design and make the entire inside of your home look more appealing than it already does with your new windows. They’ll allow you to control how much natural light enters your home. Most homeowners really love all the natural light that their new windows let into their home. But that natural light could potentially do some damage to your home if you’re not careful. The UV rays from the sun can cause furniture, flooring, paint, artwork, and more to fade. Window treatments will allow you to block natural light from time to time to prevent fading. They’ll help you maintain your privacy. You want all your neighbors to ogle at your new windows and appreciate how amazing they are. But what you don’t want is for all your neighbors to be able to see directly into your home whenever they want. Window treatments will shield you from the prying eyes of your neighbors and anyone else who happens to walk or drive by. You’ll feel more comfortable and secure in your home when you have window treatments installed. At Pacific Shores Windows & Doors, we specialize in providing our customers with quick and efficient window installation in Irvine, CA. This will allow you to hang up your window treatments right away and start enjoying your new windows. Reach out to us at (714) 841-2228 today to pick out the right windows for your home or come take a look at what we have in our window inventory at 10573 Ellis Ave., Fountain Valley, CA 92708. If you’re going to be having new vinyl windows installed in your home soon, you’re going to absolutely love how easy it is to maintain them. Vinyl windows are arguably the easiest Mission Viejo, CA replacement windows to maintain. It won’t take much time at all to do it, and you’ll be able to keep your vinyl windows looking the same way they did when they were first installed with little effort on your part. There is some maintenance that you’ll need to do to your vinyl windows, though. There’s not a whole lot that’ll need to be done, but you should take the proper steps to keep your vinyl windows looking their best at all times. Take a look at 4 easy maintenance tips for your vinyl replacement windows below. Get into the habit of dusting your vinyl windows off. Most vinyl windows in Mission Viejo, CA are a lighter color. 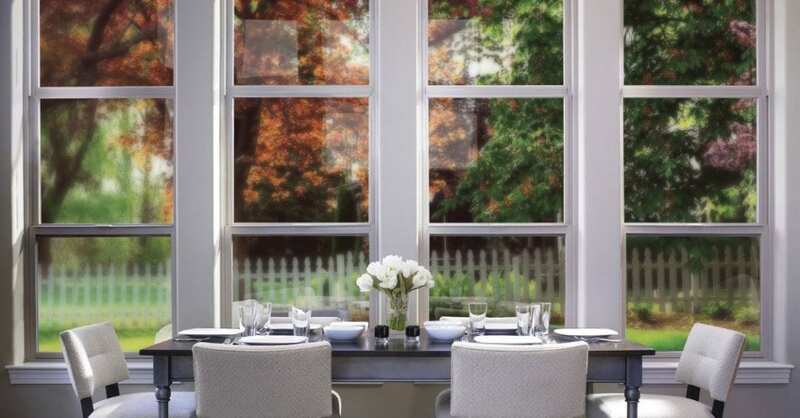 More often than not, homeowners choose to install white or tan vinyl windows in their houses. As a result, it’s easy to hide the dust that can accumulate on vinyl windows. But just because you can’t see it doesn’t mean that it’s not there. So you should get into the habit of dusting your vinyl windows off with either a duster or a microfiber cloth. They’ll prevent dust from building up on your windows over time. Clean your windows with a mild soap solution every so often. As long as you dust all your vinyl windows on a pretty regular basis, you shouldn’t have too much dirt and dust build up on them. But in the event that they do start to pile up on your vinyl windows, you can wash them away quickly with a mild soap solution. Mix mild soap and water and wipe your windows down with a sponge. This should clear the windows right up and give them the shine that you’re looking for. Clean the window glass in your vinyl windows to make them shine. Speaking of shining, you want the window glass in your vinyl windows to have a shine to it at all times. Therefore, you should make sure you clean the window glass in your vinyl windows as often as you can. You can run out and buy a special window glass cleaner to make your glass sparkle. But you can also mix white vinegar and water together to make a solution that will get the job done. Just do yourself a favor and wait for a cloudy day to wash your window glass. Otherwise, you could very well end up with streaky windows that don’t look good at all. Use your vacuum to remove dirt, dust, and debris from the tracks of your vinyl windows. If you have dirt, dust, and other debris in the tracks of your vinyl windows, it probably won’t have much of an effect on the way your windows look. But those things could very well impact the way in which your windows function. You should try to vacuum out the tracks in your vinyl windows once every few months to prevent them from building up in the tracks. It’ll make it easy to open and close your windows. Do you want to see some of the great vinyl windows that are available right now? Pacific Shores Windows & Doors can show you new windows in Mission Viejo, CA that would look great in your home. Give us a call at (714) 841-2228 today or come see our selection at 10573 Ellis Ave., Fountain Valley, CA 92708. Did you just make the decision to have Huntington Beach, CA replacement windows installed in your home? Congratulations. You’re going to love the way they look once they go in. But before you can have them installed, you’re going to need to prepare your home for their installation. Here are 5 tips that will get your home ready. Move furniture and other clutter away from your home’s windows. The first thing you should do when preparing your home for new windows is move any furniture that you might have near your windows away from them. You should also clear out any clutter around your home’s windows so that window installers in Huntington Beach, CA don’t have any trouble accessing them. This will prevent installers from having to move furniture and clutter for you, which can make your window installation take longer than it has to. Clear paths for window installers to walk throughout your home. The window installers that you bring in to install your windows will need to make their way throughout your home. So in addition to clearing furniture and clutter away from windows, you should also clear paths for the installers to use while walking around in your house. This will make it easy for them to carry new windows in and take old windows out. Remove window treatments for your old windows. Do you have curtains, shades, blinds, and other window treatments hanging over some or all of the windows that are in your home right now? Take them down before your window installers arrive and put them away for safekeeping for the time being. You don’t want your installers to have to work around your window treatments when they arrive. Throw down dust covers on your carpeting and other flooring. There is a chance your carpeting and other flooring could get very dirty during your window installation if you don’t cover them up. It’s usually a good idea to throw down dust covers on your flooring to protect it. If nothing else, you’ll want to put dust covers down in high-traffic areas. This will help you avoid having to replace flooring later due to the wear and tear it could potentially sustain during your window installation. Shut off your HVAC system. If you’re having your windows installed at a time when you won’t be running your HVAC system, you won’t have to worry about taking this step. But if you’re having them installed when your heating or air conditioning system is turned on, you should shut it off before they arrive. You don’t want to waste a bunch of energy running your HVAC system when your home is exposed to the elements. Just make sure you turn it back on once your window installers are all finished up. Pacific Shores Windows & Doors can set you up with experienced window installers to take care of your window installation in Huntington Beach, CA. Contact us at (714) 841-2228 today to schedule an installation or stop by 10573 Ellis Ave., Fountain Valley, CA 92708 for a free window consultation. Installing replacement windows in Fountain Valley, CA is likely going to require a sizable investment on your part. So if you only have a few windows in your home that are giving you problems at the moment, you might be considering replacing those windows and leaving your old ones in place. It sounds like a pretty good way to save money on replacement windows. Taking this approach will save you money in the short term. But it’ll likely end up costing you in the long run in a number of ways. Here are some of the reasons why replacing all of your home’s windows at once is almost always your best option. It keeps the look of your home’s windows consistent. If you have wood windows in your home right now, you might be under the impression that, as long as you replace a few windows with new wood ones, they’ll look right at home. But this probably isn’t true. While you might be able to find windows that are a close match, you likely aren’t going to find new Fountain Valley, CA windows that look exactly like your old ones. As a result, people will be able to tell that you have mismatched windows in your home when they look at them. It’ll hurt the appearance of your home both inside and out. It gives you the chance to enjoy all the benefits of installing new windows. 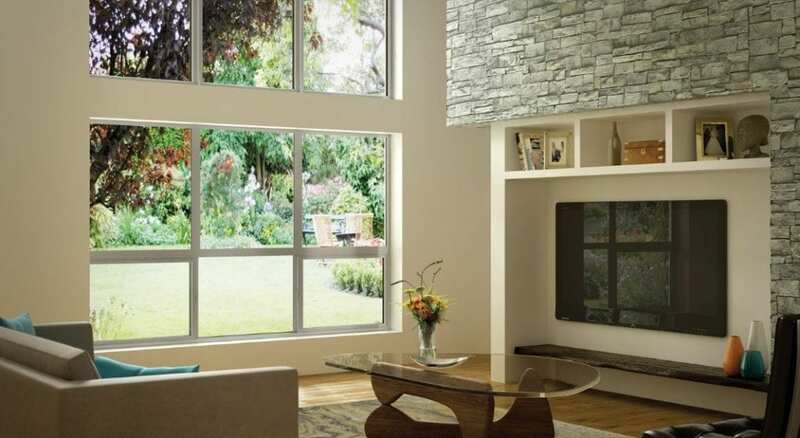 One of the biggest benefits of installing new windows in your home is that it’ll make your home more energy efficient. But if you only install a few new windows at a time, you won’t be able to enjoy that particular benefit. 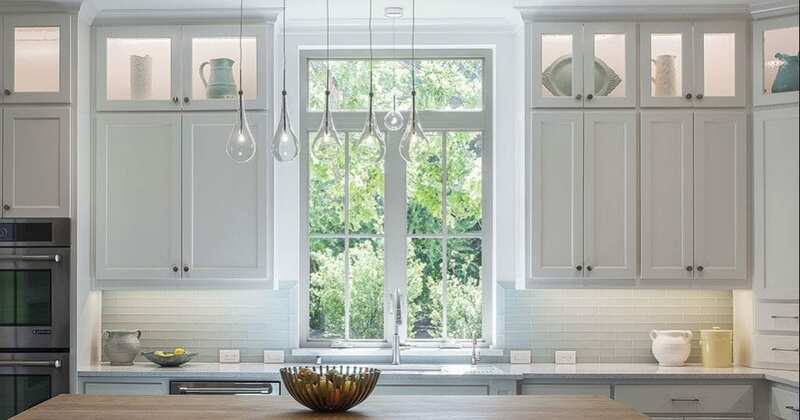 Your home might be slightly more energy efficient if you install a few new windows. But it won’t be as energy efficient as it could be with all new windows. Another big benefit of replacing all your windows at once is that it’ll bring the value of your home up. In most cases, your home’s value will increase by about 70 to 80 percent of the cost of your new windows as soon as they go in. But it’s a benefit that you won’t get to take full advantage of if you only replace a few windows. In fact, replacing several windows could actually bring your home’s value down if your mismatched windows dramatically affect your curb appeal. It helps you save money over time. Initially, you might save money by replacing a few windows instead of all your windows. But eventually, you’re going to need to get around to doing total window replacement. And you’re likely going to pay more for windows when you buy them a few at a time as opposed to all at once. Most window companies will extend you a better deal when you buy your windows in bulk. Rather than replacing several windows in your home right now, why not go all out and replace them all? Pacific Shores Windows & Doors is a Fountain Valley, CA window installation company that can tell you more about the benefits of doing it. Call us at (714) 841-2228 today for additional information or visit us at 10573 Ellis Ave., Fountain Valley, CA 92708 to see our window selection. How Long Does It Take for Installers to Do Window Replacement? If you’re thinking about doing Mission Viejo, CA window replacement soon, you probably have a lot of questions about the process. And one of them likely revolves around how long it’s going to take you to replace new windows in your home. There are some people who are concerned that it could take days and even weeks for their new windows to go in. The good news is that it does not typically take anywhere close to that long for windows to get put into place. In most instances, you can have all the windows in your home replaced in a matter of just a few hours. But there are some different factors that can affect how long window installation will actually take. Here are the factors that might have an impact on it. If you have 10 windows being installed in your home, they’ll obviously go in a lot quicker than 20 windows would. At the same time, window installers in Mission Viejo, CA will have a much easier time installing a bunch of windows in a ranch home as opposed to windows in a two or even three-story house. Make sure you take the size of your home and the number of windows in it into consideration with regards to how long window installation could take. If you have all standard-size windows in your home right now, replacing them will be a relatively simple and straightforward process for your window installers. But if you have windows that are abnormally large or small, they can slow the window installation process down. Window installers might have to rework the openings in your home to make certain windows fit. There are so many different kinds of windows that you can install in your home. From vinyl and wood to aluminum and fiberglass, you can pick whatever type of windows work best for your house. Generally speaking, all of these windows can be installed pretty easily by an experienced crew. But there are certain challenges that come along with each one that’ll need to be addressed by your installers. Speak with your window installation company to see if the type of windows you want will affect the installation time. The weather can obviously play a big part in how long it takes to do window installation. If you choose to do window installation at a time when it rains a lot in Mission Viejo, you might be forced to endure delays. At the same time, if you choose to install windows during a slower time of the year like the winter, you can probably have your windows installed quickly and without much trouble. Carefully consider the best time of year for your window installation before scheduling it. At Pacific Shores Windows & Doors, we know that you need to have window installation done as quickly as possible. We’ll strive to do your new window installation in Mission Viejo, CA as soon as we can when you contact us for replacement windows. Give us a call at (714) 841-2228 today to get started or swing by 10573 Ellis Ave., Fountain Valley, CA 92708 to see the windows we have in stock. When it’s time to install replacement windows in Orange County, CA, you’ll have plenty of window companies to choose from. From large national companies to small companies that are just getting their businesses off the ground, there will be no shortage of options. It can make it tough to find the right company to handle your new window installation. 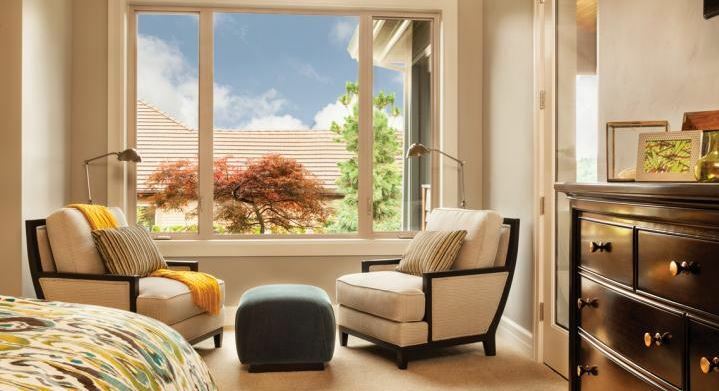 You should strongly consider trusting a family owned and operated company like Pacific Shores Windows & Doors to do your window replacement for you. You’ll have a great experience when you go this route for a number of different reasons. Check out 4 of the reasons you should call on a family owned company for replacement windows below. You’ll get a speedy response when you first show an interest in replacing your windows. When you call on some companies for Orange County, CA window replacement, they’ll take days and potentially even weeks to get back to you. Not a family owned window business. If they’re not available to take your call when you first touch base with them, they’ll get back to you within just hours to see how they can help. They’ll be warm and inviting and ready to assist you in any way they can. You’ll receive direct access to those who can help you make a decision on windows. In addition to getting back to you quickly about your window installation, a family owned window business will also make sure you talk to the people you need to talk to about replacing your windows. You won’t get the run-around from a receptionist or get sent to voicemail when you call your window company. You’ll speak to whoever it is you need to speak to in order to get answers to your pressing questions. You’ll never have to worry about your window company treating you like just another customer. Family owned and operated window companies appreciate you bringing your business to them. They’ll never treat you like just another customer. Instead, they’ll treat you like a member of their own family and make sure you feel comfortable while shopping around for new windows. They’ll show you how much they care about you during each and every conversation. You’ll get a follow-up at the end of your window installation to make sure everything went smoothly. At the end of the day, a family owned window company will want to know that you were 100 percent satisfied with your window installation. So they’ll usually follow-up with you once your windows have gone in to see if there were any hiccups when your windows were put into place. They’ll also send a crew out to your home immediately if there are any issues that you’re experiencing with your new windows. Do you want to see the difference it can make when you work with a family owned Orange County, CA window company? Let Pacific Shores Windows & Doors install your new windows for you. Reach out to us at (714) 841-2228 today or stop by 10573 Ellis Ave., Fountain Valley, CA 92708 to set up a free in-home window consultation with us. One of the best parts about installing new Orange, CA windows in your home is that you won’t have to worry about doing it again for a long, long time once it’s done. Most of the windows that are on the market today are built to last for at least 20 or 30 years, if not longer. They’ll stay in place for years to come as long as they’re installed properly at the beginning. If you want to get even more life out of your windows than that, there are also some steps you can take to extend the life of them. By maintaining your windows properly, you can keep them looking their best for longer and avoid having to even think about the words “window installation” anytime soon. Here are 4 ways to make your home’s windows last longer. Many of today’s windows don’t require much as far as cleaning is concerned. You don’t have to spend every Saturday afternoon scrubbing them down or anything. But it is a good idea to get into the habit of dusting them off every week or two. You should also keep the window glass clean and make sure dirt and debris doesn’t built up in your window tracks. This will allow you to open and close your windows with ease. Open and close them carefully. Speaking of opening and closing your windows, you should always be careful when you’re doing either. New windows are easier to open and close than old ones, but that doesn’t mean you should throw them open or slam them shut at any time. By doing this, you can wear out your windows and potentially even cause damage to them. Cover them with window treatments. Window treatments will do more than just make your home look good and allow you to control how much sunlight comes into your home. Whether you go with blinds, shades, or one of your other options, window treatments will also offer protection to your replacement windows in Orange, CA. They’ll stop dirt and dust from building up on them, and they’ll also prevent them from accidentally getting broken. There are, unfortunately, going to be times when one of your windows stops working properly for one reason or another. A lock on a window will break, or it’ll get to be too difficult to open or close a window. When this happens, you should seek window repair services right away. In many cases, repairs will be covered by the warranty that comes with your windows. These important repairs will help your windows to last longer than they would otherwise. At Pacific Shores Windows & Doors, we want to see your new windows in Orange, CA last as long as possible. We’ll show you some other ways to extend the life of your replacement windows when you trust us to install them for you. Contact us at (714) 841-2228 today to schedule a window consultation or visit us at 10573 Ellis Ave., Fountain Valley, CA 92708 for more information on window installation.